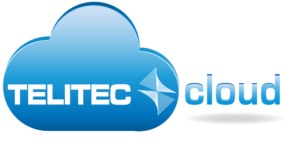 Telitec Cloud Backup – Keep Your Files Safe! What would you lose if your laptop or PC broke TODAY? Chances are you will have lost important documents, photos, and videos. It’s inconvenient, but distressing too as many of our ‘memories’ are now stored digitally. Irreplaceable photographs are now kept on our computers rather than in boxes. Life happens – pipes leak onto PCs, old devices break, cats knock tea onto laptops. But if you backup your data using a cloud storage system, you only have to worry about replacing your devices as all your data will be safe and secure. It’s far better than keeping data on a memory stick or second computer because it won’t be damaged, lost, or infected with viruses. Plus, you can access the files from anywhere. We offer secure, encrypted storage for your files starting from 5.99€/month. It’s simple to use – you set it up on your PC or laptop, upload your files to the cloud, and then whenever you add to or change your files everything is automatically updated. It’s that easy! You can then access your data from anywhere. This is necessary for if your PC breaks, but can also be useful to access from work, holiday, or anywhere else that you might wish you had your home computer with you. If you’d like to learn more, you can visit our cloud website here and sign up online today. If you’d like to talk to us about the service first then we’ll be happy to help – email sales@telitec.net or call 965 743 473 or 902 889 070.